T. K. hates a lot of things, but at the moment, it's how she becomes the #1 target during dodgeball at gym. Everything changes, however, when she discovers that she has the ace ability to direct spherical objects. With this newfound ability, she makes her classmates pay! But her powers are made for more than petty revenge, as she soon discovers while on a family vacation. 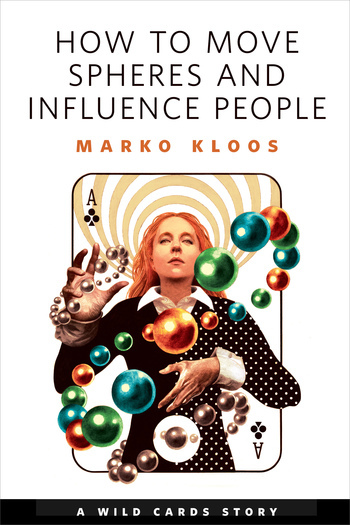 Marko Kloss was born in Germany and raised in and around the city of Münster. In the past, he was a soldier, bookseller, freight dock worker, and corporate IT administrator before he became a novelist and got ruined for most other forms of work. He's the author of the bestselling Frontlines series of military science fiction and a member of George R.R. Martin’s Wild Cards consortium. Marko lives in New Hampshire with his wife, two children, and roving pack of voracious dachshunds.